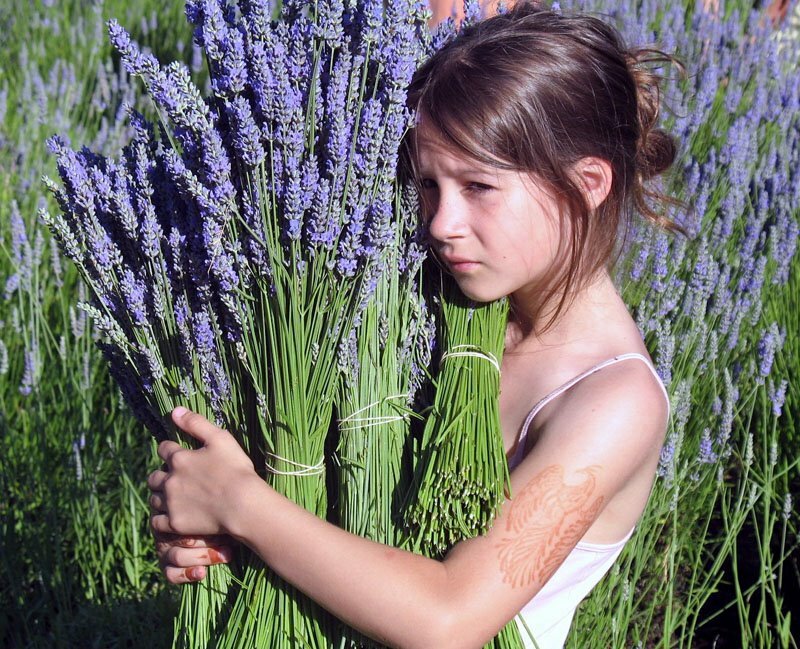 The scent of lavender is pungent with an earthy, pine-like fragrance. Long used in soap and body lotions, this herb is now an essential in the kitchen. 1. Harvesting lavender is easy. When the blooms are almost fully open, simply cut a spike of organic lavender around midday when the blossoms are dry. With your thumb and index finger, rub buds off into a bowl. Store buds in a pantry away from the light. 2. Making Lavender Sugar is as easy as making up a jar of cinnamon sugar. Take 1 tablespoon lavender buds along with ¼ cup of granulated sugar. Food process for 1 minute converting buds into a soft powder. Mix in another 1 ¾ cups granulated sugar. Store in an airtight container. Wait three days before using so the sugar is infused with flavor. 3. For a taste of Provence, next time you are mixing up blueberry muffins, substitute lavender sugar for plain sugar. You don’t need to wait for summer to enjoy lavender. 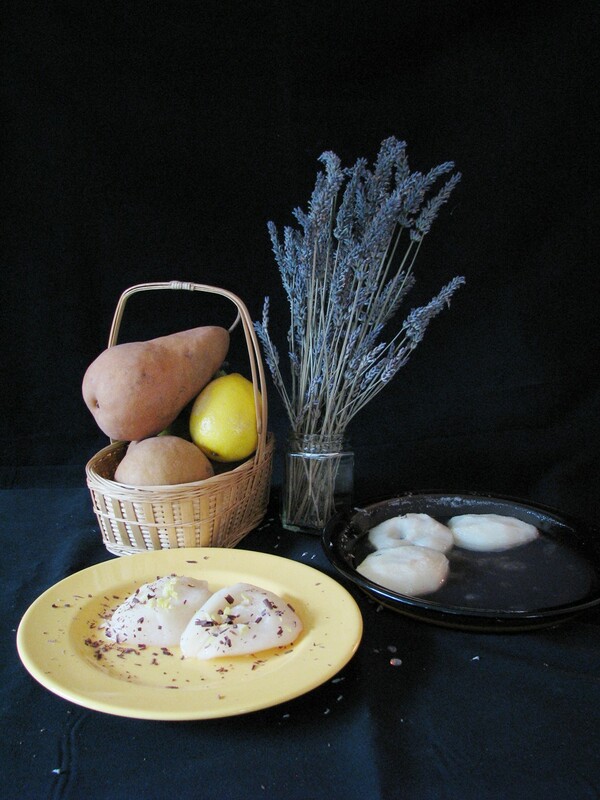 Dried culinary lavender buds are available from PCC Natural Markets, Whole Foods, Market Spices and Local Harvest. Buy some now and have fun bringing the taste of summer into the spring bounty of halibut, strawberries, Copper River salmon and rhubarb. Celebrate nature’s abundance! Lavender, the Swiss army knife of herbs, seems to be capable of anything and everything. Rubbed on burns, added to soap and lotions, infused in sugar and planted in our gardens, lavender continues to surprise me. Would you believe me if I told you lavender played a pivotal role in the world’s first photograph? In the summer of 1826, a gentleman named Joseph Niepce created a photograph at his country estate in Eastern France. Ten years earlier, he began experimenting with photography in. Saint-Loup-de-Varennes. Niepce had been fascinated with lithography. He placed engraved images on stone and he had been successful making copies of images using a light sensitive varnish. 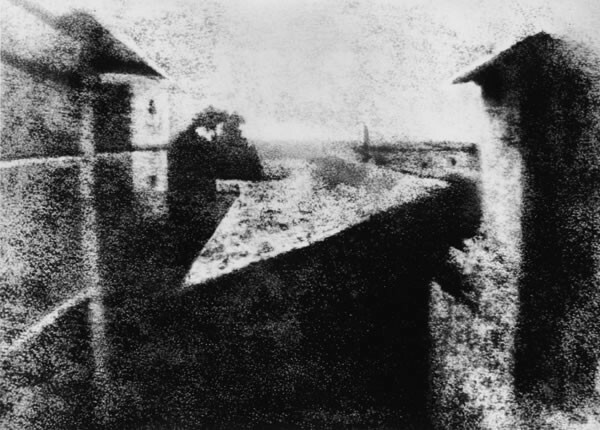 When he combined this lithographic technique with the camera obscura, Niepce was successful in creating a photographic image of the scene from an upstairs window in his country home. The image captures rooftops, trees and outbuildings. Niepce set a camera obscura in the upstairs bedroom window. He used a pewter plate coated with bitumen and exposed it to light for eight hours. The bitumen exposed to the sunlight became hardened. A mixture of lavender oil and white petroleum was used to wash the pewter plate, dissolving the bitumen that was not exposed to light. The result was a positive negative image of the view from that upstairs bedroom. Niepce, recognizing the role of the sun, called this a heliograph. Lavender, also dependent on the sun for its existence, continues to amaze me. For its versatility and simplicity, this all purpose herb is hard to beat.